Kleiner Perkins has another biofuel and biochemical company up its sleeve. On Tuesday, a Kleiner-backed startup called Renmatix, which makes sugar from biomass that can be turned into biofuel and biochemicals, came out of stealth during an event in King of Prussia, Pennsylvania, where Renmatix is building a facility. While many biofuel companies take plants and biomass and turn that into liquid fuel, Renmatix takes plants and biomass and turns it into sugar that can then easily and cheaply be broken down by biofuel makers. Renmatix says it uses water at high temperatures and pressure as a solvent to break down the biomass into usable sugars rapidly. The process is called “supercritical hydrolysis” and Renmatix says that while that process has been used in other industries like pharmaceuticals and coffee production, they are the first to implement the process for biofuels and biochemicals. The process is very rapid — think seconds and minutes — compared to other processes that can take days. 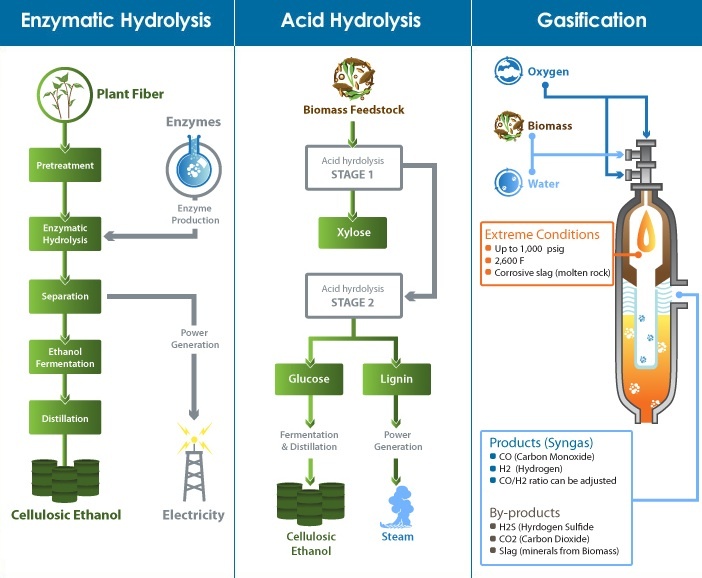 Public company Codexis (s CDXS) is also targeting the low cost sugar market, and sells its enzymes to make sugars to biofuel producers, in addition to other products. Codexis has major backing from oil giant Shell and Brazil sugar giant Cosan. I interviewed Codexis CEO Alan Shaw earlier this year, and he was saying the same things that the executives on the panel said on Tuesday afternoon: cheap sugar is the new oil. Renmatix is far from the scale of Codexis yet. The company only lists Kleiner Perkins as an investor and will no doubt need major funds to build it’s facility in King of Prussia, Pennsylvania. But the company has scaled up a pilot plant in Georgia that is says is turning three dry tons of woody biomass into sugars per day. Kleiner Perkins also invested in cellulosic ethanol company Amyris (s AMRS) which went public in April 2010, and was one of Kleiner’s bigger exits in cleantech. Renmatix no doubt will work closely with Amyris, and Amyris CEO John Melo joined Renmatix’s board. The event on Tuesday featured Kleiner Partner John Doerr, Pennsylvania Governor Tom Corbett, the CEO of Renmatix Mike Hamilton, and execs from Dupont and the Department of Energy.